The untitled Terminator film, colloquially referred to as Terminator 6, is an upcoming 2019 American science fiction action film directed by Tim Miller with a screenplay written by David S. Goyer. The film's story was conceived by Miller, series co-creator James Cameron and David Ellison, with the latter two serving as producers alongside Dana Goldberg. 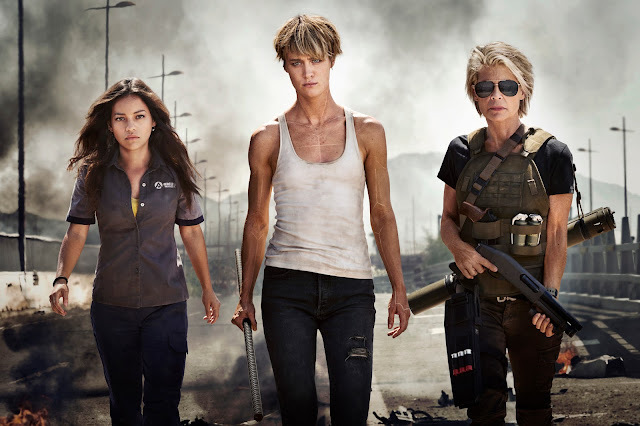 It will be the sixth installment in the Terminator franchise and serves as a direct sequel to The Terminator and Terminator 2: Judgment Day, disregarding the subsequent films and The Sarah Connor Chronicles television series as occurring in alternate timelines. The film will star Arnold Schwarzenegger, Linda Hamilton, Mackenzie Davis, Gabriel Luna, Natalia Reyes, and Diego Boneta.